It took a fed-up Chumani Maxwele throwing faeces at the John Cecil Rhodes statue in on the University of Cape Townâ€™s Upper Campus to start what would become a nationwide conversation about transformation, colonial legacies in tertiary institutions and a demand for decolonisation. PONTSHO PILANE looks back at the year of student protest. The #RhodesMustFall movement had a lot of critics, with many people saying that the movement was misguided and did not deal with real issues that South African students face. However, for those in support of the movement, it was about more than just steel and stone sculptured in commemoration of Rhodes. â€œThis is not about the statue, itâ€™s about us. Itâ€™s us finding a community within UCT that represents us in the manner that we want. Hence, we are always critical about who speaks about our movement â€“ the white liberals and all those people [who donâ€™t understand],â€ said Mlandu, a humanities student majoring in political science and sociology. 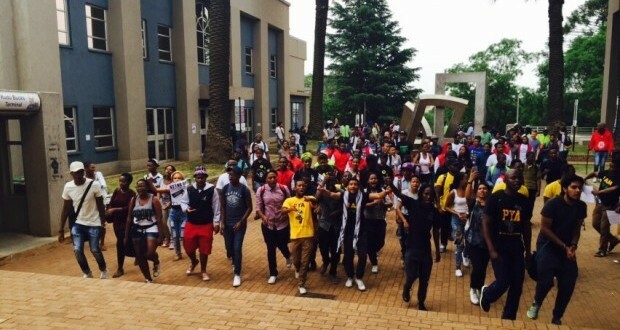 #RhodesMustFall sparked something within students from across the country. Similar movements such as #OpenStellenbosch, #TransformWits and #ReformPuk started at other universities and these movements rapidly grew. It was as if we, students, collectively realised that we are not crazy for thinking the way we do about our campuses, for being angry in a lecture when colonialism is discussed or for feeling the heaviness of our black skin. â€œ#RhodesMustFall was the moment that made me realise I was not mad. The suffocation that I feel is not in my head and it is real. The [#RhodesMustFall] movement did not start anything that was not already there amongst many black students, it just propelled us to take action,â€ Wits EFF leader Vuyani Pambo recently said at a panel discussion. Students at the Potchefstroom campus of the North West University were in a similar situation as the Stellenbosch University who were demanding a change in the language policy. They came together to form a movement called #ReformPuk in order for black students at NWU-Pukke who are not satisfied with the quality of the translation services and feel undermined because of their race. 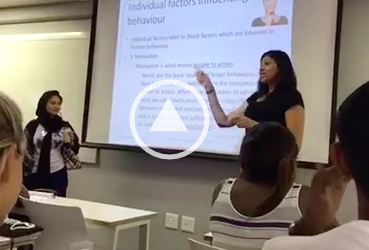 â€œIn lectures that are in English, some Afrikaans students refuse to use the translation devices because they say that they are useless, yet we are expected to use them all the time. But this goes beyond the language use, there is this belief that Afrikaans students belong here more than us black students, and it is evident in the way we are treated,â€ said Masego Legodi*, a second-year student at the campus. Recently, the university removed the statue of Afrikaans poet Totius after #ReformPuk handed them a memorandum demanding for its removal. Much like the Rhodes statue at UCT, Pukke students believed that the statue had deep colonial ties and cannot be embraced on campus. The uprising from the Class of 2015, mostly made up of the young people who grew up in post-apartheid South Africa, has shocked many. We are supposedly the rainbow nation â€“ the generation that was meant to achieve non-racialism. However, the faÃ§ade of the rainbow nation is something we have awakened to: the inequality gap which still cuts across racial lines, untransformed academic syllabuses and the realisation that no matter how close we are to whiteness â€“ our blackness still shows. Beyond these various movements showing us the resilience and ability of students to organise themselves for the cause of decolonisation, they also showed us how those in power and positions of influence either donâ€™t take student voices seriously or have chosen to completely ignore them â€“ regardless of their validity. While 2015 has been both inspiring and exciting because it truly was the year of the student, what will happen when the unemployed youth also revolt in the same way as Class of 2015? Who will they march towards? What will be they be demanding to fall? With the local government elections happening, 2016 will prove to be yet another interesting year as the call for decolonisation continues, on campuses and hopefully beyond. When will we stop dehumanising, othering and abusing the black body? Hi what exactly is Fallism?